NASA officially has launched a new resource to help the public search and download out-of-this-world images, videos and audio files by keyword and metadata searches from NASA.gov. The NASA Image and Video Library website consolidates imagery spread across more than 60 collections into one searchable location https://images.nasa.gov. 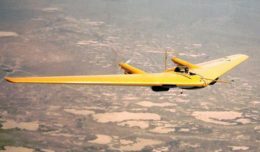 NASA Image and Video Library allows users to search, discover and download a treasure trove of more than 140,000 NASA images, videos and audio files from across the agency’s many missions in aeronautics, astrophysics, Earth science, human spaceflight, and more. Users now can embed content in their own sites and choose from multiple resolutions to download. The website also displays the metadata associated with images. 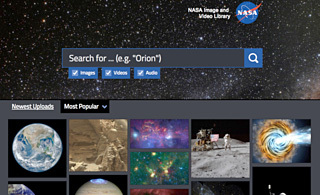 NASA Image and Video Library allows users to search, discover and download a treasure trove of more than 140,000 NASA images, videos and audio files. NASA Image and Video Library’s Application Programmers Interface (API) allows automation of imagery uploads for NASA, and gives members of the public the ability to embed content in their own sites and applications. This public site runs on NASA’s cloud native “infrastructure-as-a-code” technology enabling on-demand use in the cloud. The library is not comprehensive, but rather provides the best of what NASA makes publicly available from a single point of presence on the web. Additionally, it is a living website, where new and archival images, video and audio files continually will be added.